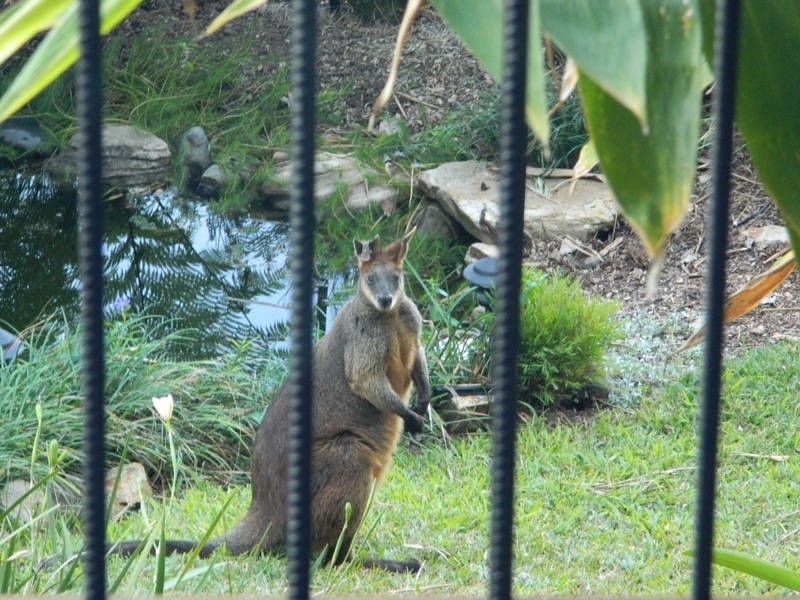 This is probably the wallaby I see from time to time in the bush at the back of my house. I’ve never seen her in the front garden before, but the lure of lush green grass and fresh water was probably too much for her to resist. I watched from the veranda for a few minutes before she hopped off across the garden.